When the August 2017 Bitcoin Cash hard fork took place, it did not really create a new coin. Instead, Bitcoin Cash (BCH) was the rebirth of the original Bitcoin, designed to stay to true to the Satoshi Vision (SV). With Bitcoin BCH, the roadmap is for massive on-chain scaling by significantly increasing the block size, enabling fast transaction processing, and keeping transaction fees very low. The key BCH developer groups have had some differences about how quickly BCH should scale, and the dangers of developer groups constantly trying to experiment with proposed technical changes to the Bitcoin protocol. Now we have Bitcoin SV, the new full node implementation for Bitcoin BCH that will restore the original Satoshi protocol, keep it stable, enable it to massively scale, and allow major businesses to confidently build on top of BCH. By trusting the original design of Bitcoin rather than constantly changing it, Bitcoin SV will support global adoption, enterprise-level usage of BCH, and allow miners to earn more longer-term revenue. 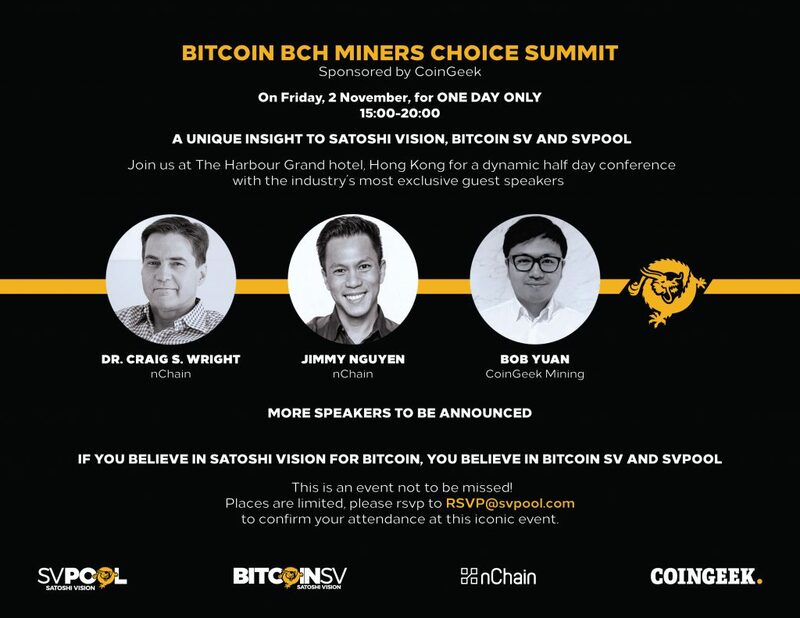 To gain more insight about Satoshi Vision, as well as Bitcoin SV and SVPool, miners are invited to attend the CoinGeek-sponsored Bitcoin BCH Miners Choice Summit, taking place at The Harbour Grand Hotel in Hong Kong on November 2. The dynamic half-day conference will feature the industry’s most exclusive guest speakers, including nChain Chief Scientist Dr. Craig S. Wright and nChain Group CEO Jimmy Nguyen, along with CoinGeek Mining’s Bob Yuan, one of the most respected mining professionals in China. 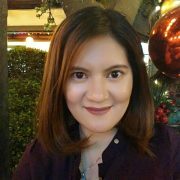 More speakers will be announced soon. Recently, Dr. Wright launched his personal initiative—the public Bitcoin BCH mining pool SVPool—to all public miners on the Bitcoin BCH network. SVPool represents BCH miners who support the Satoshi Vision and want to generate more long-term revenue. BTC miners who believe in Bitcoin’s original vision are also invited to begin mining BCH with SVPool. The CoinGeek-sponsored Bitcoin BCH Miners Choice Summit is an event not to be missed. Seats are limited, so best to RSVP now to RSVP@svpool.com to confirm your attendance at this iconic event. Miners are also invited to take part in the CoinGeek Week Miners Day, happening during the CoinGeek Week Conference in London this November. The SVPool and CoinGeek Mining team will be on-hand to discuss how you can do your part in making Bitcoin BCH realize its full potential. Secure your seat today via Eventbrite for the four-day conference that’s shaping up to be the essential Bitcoin BCH conference this fall.